Think you know what’s in your food? 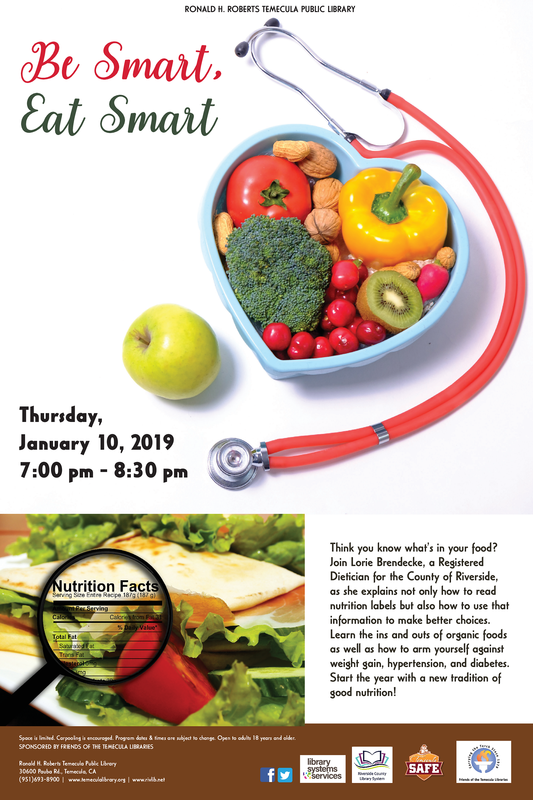 Join Lorie Brendecke, a Registered Dietician for the County of Riverside, as she explains not only how to read nutrition labels but also how to use that information to make better choices. Learn the ins and outs of organic foods as well as how to arm yourself against weight gain, hypertension, and diabetes. Start the year with a new tradition of good nutrition!